Riding straight: Comfortably sit or lie on the sledge, stretch your legs forward and position them at the front runners. Braking: Place both feet flat on the ground right next to the runners. Simultaneously, you can slightly lift the bars. Wear sufficient safety equipment: sturdy footwear, helmet, ski goggles, gloves and winter-proof clothing. Adjust your tobogganing speed to your skills and the prevailing conditions on the run. Please keep the local conditions of the course in mind. Steering: Shift your weight towards the desired runner and pull the steering rope. Before a bend: Control your speed by braking and take the bend in a wide angle. Riding the bend: In a left bend, pull the left runner a little bit upwards by using the steering rope (with your right hand). Simultaneously, lift your left leg and press your right leg on the outside against the right runner. In tight bends, you can additionally stretch out your free arm backward until it touches the snow. In right-hand bends, it works exactly the other way around. This technique allows extreme manoeuvring. In easy bends it is sufficient to lift a knee and shift your weight. Enjoy your tobogganing adventures. Do you have more questions about maintenance and how to ride a sledge? We will gladly answer your questions personally. After every tobogganing session, always rub the steel blade dry and thoroughly wax it (with standard liquid wax or grip wax). 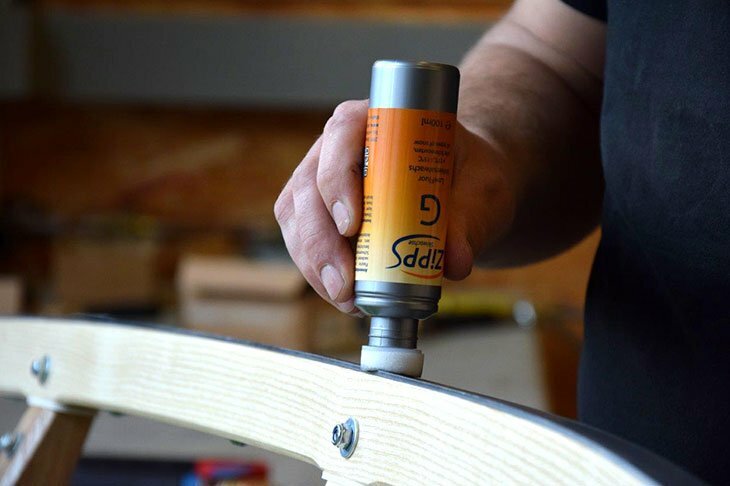 This avoids the build-up of rust and improves the anti-frictional properties of your sledge. The screws and steel blades need to be occasionally tightened. Scratched and very rusty blades can be grinded using grinding paper with 60 – 100 grain size. Always grind in the longitudinal direction of the blades, and finish with polishing and buffing the blade. After grinding, thoroughly clean and wax the steel blades. Do not expose your sledge to excessive heat (e.g. heating rooms, heaters) or direct sunlight, if possible. Ideally, store it in dry rooms without placing any weight on it.